Alongside the announcement of Chevrolet’s Camaro SS Drag Race Development Program, the brand also revealed the legacy of the COPO (Central Office Production Order) Camaro would continue on for 2017. 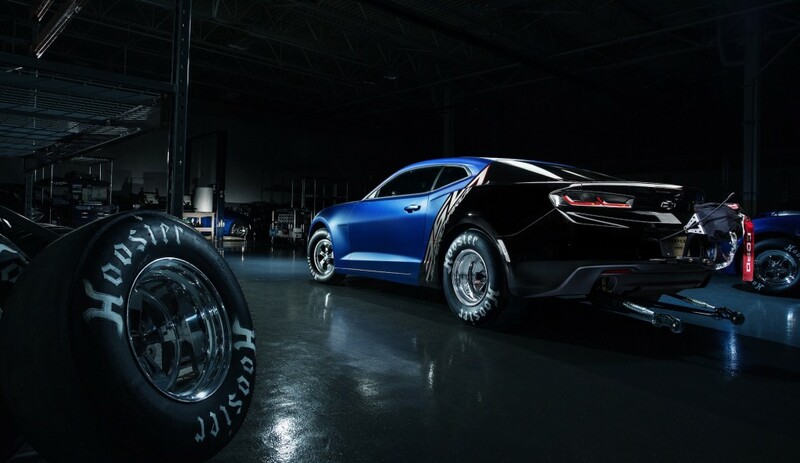 Ahead of its public debut at the 2016 SEMA Show, the 2017 COPO Chevrolet Camaro was revealed as one of 69 to be built for the 2017 season, featuring an “anodized” concept version of the production Hyper Blue Metallic exterior color. Specifications remain unchanged for the 2017 COPO Camaro, but if you need a refresher, the COPO Camaro arrives with a variety of supercharged and naturally aspirated engine choices. They include a supercharged 5.7-liter V8, naturally-aspirated 7.0-liter V8 and an LT-based, direct-injected 6.2-liter V8 engine. And, of course, the COPO Camaro ditches the independent rear axle for a solid rear axle. Chevrolet will accept applications to purchase a 2017 COPO Camaro through December 15, 2016. A third-party will then select random applicants for purchase, and will contact individuals during the first quarter of 2017. If that’s too much work, Chevrolet will auction off serial number 01 at Barrett-Jackson Scottsdale this coming January, with all proceeds benefiting United Way.